Beautiful, Rustic, Classic, Nostalgic. The 1949 Philadelphia Eagles won BACK-to-BACK championships in 1948 and 1949. 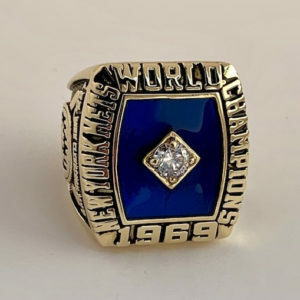 This Replica of the Ring awarded to the 1949 Team Celebrates both Championships. Steve Van Buren, Pete Pihos, Chuck Bednarik, and many more stars. Led by Head Coach, Greasy Neale. This Ring has the weight and feel of a desirable collectible. FAST and FREE USPS First Class Shipping.